Cardi b have been featured in another song again. Quit very electrifying about that but we need to see more of Cardi be voice in new songs just like this. 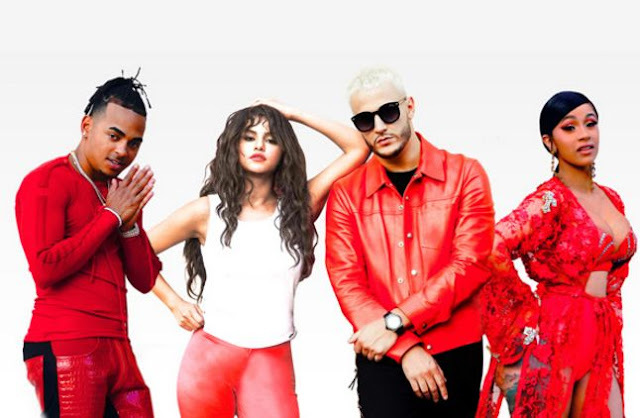 Dj Snake Ozuna and Justin Bieber ex Selena Gomez has turn up a new single called TAKI TAKI. We once heard that they are coming for a new dope but been a whole of retract because we are not we even sure when the song is going to be drop online. Well, don't be surprise that the TAKI TAKI song will ignite a record on billboard base on we can see after we have listen to the song. DJ Snake on this track focused on few artists which he do think that might earn him a lot of glory. Ozuna is there in the song so what else do you expect. We can also hear a voice from Selena and Cardi b who recently become the first woman Rapper with Three. No.1 On Billboard Hot 100.